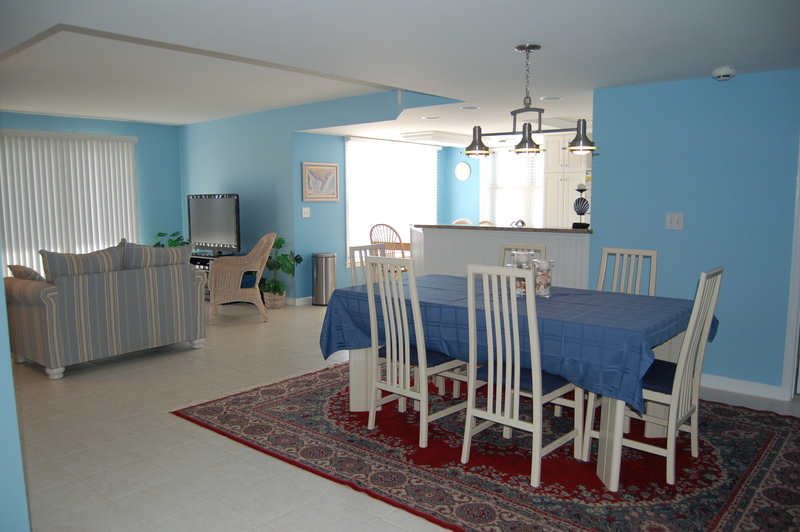 In September 2011, we closed out our third rental season of our Jersey Shore condo and I can honestly say that things have run smoothly most of the time. When we first purchased the condo in September 2008, the decor was still screaming of the 1980’s. We changed some of the furnishings; repainted; purchased new bedding, kitchen and bathroom accessories; added flat screen TVs, added a router for wireless internet; and bought some nice beach towels. Prior to our purchase of the condo, when we were renters there, we would fantasize that if we owned this, we would……. Now we were ready for OUR renters. We knew that some tenants would be repeat renters since we bought the condo through the same agent who we rented from and would continue to use her for our rental agent services. In addition, I set up a vacation rental by owner website to start to attract our own renters. In August 2009, our first rental season, we had two new renters from our own website and our rental agent had two repeat renters. By the end of the rental season, much to our surprise, several incidental items were missing such as three sets of new sheets, a new bathroom rug, some of the new beach towels, the new Dining Room tablecloth, and even some dishtowels and oven mitts. Even though inexpensive items, we felt violated and betrayed especially since we had been renting this same condo for a number of years and nothing seemed to go missing year after year. How could this happen? Should we be in this business of allowing strangers to essentially live in our home away from home? The hard part of running this rental business is not the complicated bookkeeping between our own renters and reconciling our rental agent’s statements, but knowing that people are using our things. Although we run this as a business, we just don’t look at it as a business. We definitely consider it our home that we happen to share with others. As renters we always treated it as if it was our own, so we expected others to do the same and in that first year, we learned that was not always the case. The rental agent had no explanation and told us to chalk it up to the cost of doing business. We came close to not renting again in 2010 and just offering the condo to family and friends, but we decided to try again. We chose to take our rental agent’s advice and not worry so much about the little ‘things’ as long as there was no real damage. That’s not to say that we would not be unhappy or even feel violated if this were to happen again, but we put some safeguards in place that second summer that we didn’t have that first summer. The new process held each tenant more accountable and gave us more peace of mind. The summers of 2010 and 2011 were much smoother and the condo was no less for the wear. So, it’s back to the bookkeeping and promotion as my focus after we reconciled the end of another season and prepare for the summer of 2012. On Monday, Joe uses a different format to have some fun liberating his dark side in “The Dark Side”. I have heard that if you want to get something done give it to the busiest person you know. This may sound counterintuitive, but, it seems to be true that industrious people always find a way to do more. With that in mind, one may ask with everything we have going on in our lives, why would we buy a condo on the Jersey Shore which we now both use and rent to others? This did not just come out of left field. Annemarie has gone to the Jersey Shore all of her life and, after we were married, we continued the tradition with our family. Since 1982, we have missed going to the Jersey Shore only three times. No matter where else we may travel, we always plan a summer vacation at the shore. For several years we rented a three bedroom condo right on the beach with spectacular views of the ocean and almost four years ago we found out that it was for sale. Despite the project in Arizona, we could not resist buying the condo and having our own piece of the Jersey Shore. Since we are only able to use the condo for a short time each summer, we rent it out for the rest of the season. We use both a rental agent and find our own tenants through our personal web site on a rent by owner network. We also let friends and family use it when it is not being rented. This has become yet another small business for Annemarie and me to run. Luckily for me, it is mostly Annemarie. It is quite time consuming dealing with the rental agent as well as all of the paperwork that goes along with our own rentals. Invariably, there are all kinds of problems, big and small, to deal with from emergency repairs to figuring out how the bed sheets could have disappeared since we were last at the condo. Oh well, what is one more project in the scheme of things? At least, it helps keep things interesting. 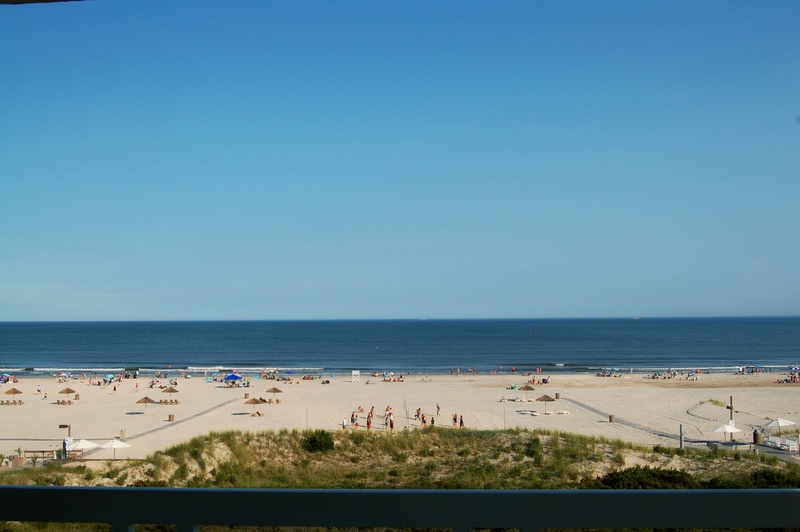 On Wednesday, Annemarie describes some of the pitfalls of renting their condo in “Our Business At The Jersey Shore”.